Belgium is home to some of the best beers in the entire world and trust me, they are very serious about their beer. In Belgium there is a law requiring for every restaurant that serves beer must serve it in its proper glass. Each beer has a specific glass with a different design, shape, and size. The cups are designed to allow for optimal flavor of the beer and can make a really cool souvenir. If you are a college student like me you probably have a very small range of different types of beer. Little did I know that there was more to beer than Natty Lite and a Bud Lite. In Belgium the beers range from many different types of heaviness, flavors, and percents of alcohol. If you have a leisurely day in Brussels and want to try all of the different types of beer I would suggest going to one of the smaller bars and trying their sampler. This allows you to get a taste of how strong Belgian beers are and see what the hype is all about. Beware if you try to drink this all yourself. Two experienced drinkers were having trouble finishing all six of the samplers. Throughout Brussels there are many different types of bars to go to. These can range from restaurants with bars, little cafes, and then the biggest bar of all: Delirium. Delirium became a second home for me while I was living in Brussels over the summer. Not only did it have three different stories that had different beers for every floor, but it also was a huge melting plot of different cultures since this was a popular area in the city. This beer was voted the best beer in the world. Although it did not make #1 on my list does not mean that it should be forgotten about! This beer got its nickname from the shaking that would occur if you drank too much of it. If you are a latin enthusiast then you probably realized that when translated to english means “shaking trembles”. Another rumor was that along with the shaking you would hallucinate and see pink elephants which is why there is an elephant on the glass they serve it in. The alcohol percent is 8.5% abv. If you like Blue Moons then you will probably be a big fan of this kind. It is definitely something you need to try while you’re in Brussels. This beer is not meant for the faint of heart. It has a very strong and distinct taste. The extra barley and hops they used are very apparent in the taste. This is not some beer that you should ever try to do a drinking contest against one of your friends: You. Will. Fail. This was always my first go to beer at Delirium for the night. It is the perfect beer to sip on while waiting for friends to come and join you. The alcohol content is 9.2% abv and you definitely will be able to tell after a beer. This is definitely not one to miss out on! For people who are not a huge fan of the taste of beers (and most others) will fall in love with Delirium Reds. This beer is carefully crafted to taste like cherries. This type of beer usually falls into the categories of kriek beers – which means there are many other types of variations of the cherry beer. 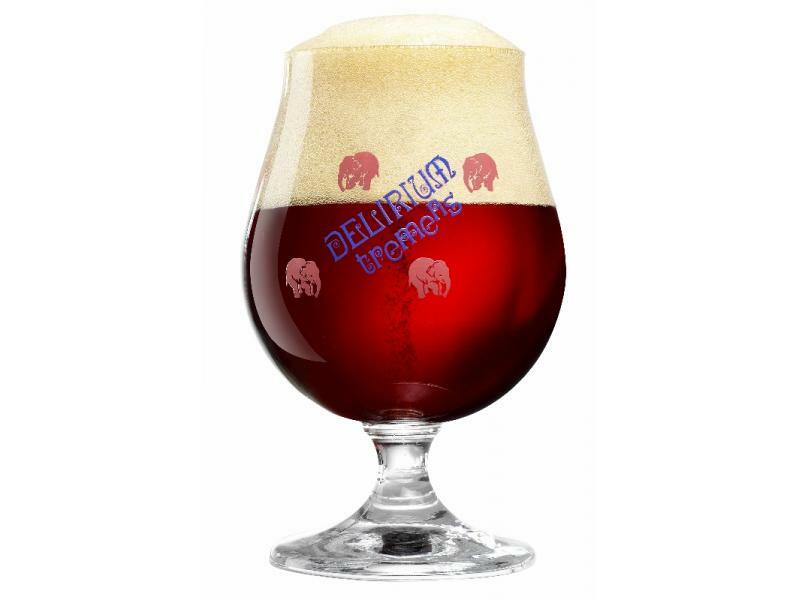 In my opinion, the Delirium Red is the best because it has the perfect combination of tasting like a sweet juice and then has the after taste of a Belgian beer. Do not let the juice like flavor fool you – this beer has an 8.2% abv and can make your knees weak after a few of them. This is definitely one you will want to try while over in Belgium because you won’t be able to find other ones like this in other places. While you are in Brussels don’t forget to check out other local bars but make sure to go to Delirium and try out these beers! You won’t regret it. If you have any more wisdom to spread to others going to Brussels comment on here to add onto the list. Kriek is my favorite as well 🙂 But, yes, definitely check out Delirium next time you go! There are three levels with different beers on each one. Make sure to try the Delirium Tremors; it comes with a really cool glass.